Unfortunately, there is still a significant risk of a tornado or two and fairly widespread damaging winds on Christmas Day. 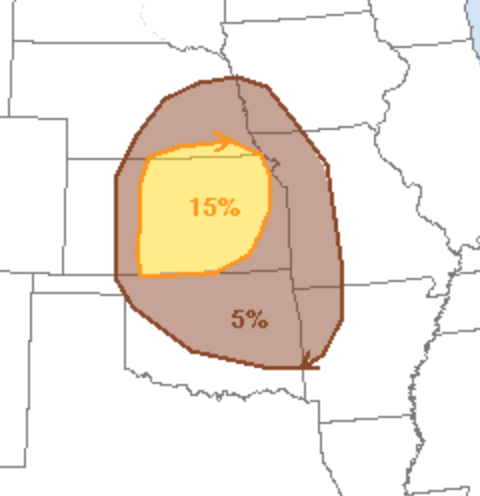 The thunderstorms will have relatively little cloud-to-ground lightning and a low chance of damaging hail. So, you may want to keep an eye on the weather as these fast-moving thunderstorms affect Kansas and immediately surrounding areas. Dangerous Ice Storm / Blizzard Warnings! Still Looking For a Christmas Gift? "Lab Coats and Signs Provided"